« Why are commercial property solicitors so slow and expensive? It is a legal requirement that the landlord produces at his expense an energy performance certificate showing the energy efficiency of the building that is being let. 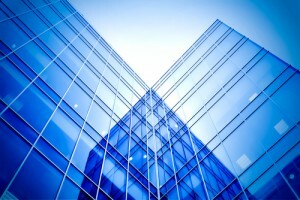 Commercial EPC’s are much more expensive than residential. Whereas a residential EPC might cost £45, a commercial EPC could be as much as £300 to £400 depending on the size of the property. It is Trading Standards who enforce the regulations relating to EPCs and fines have been levied for landlords who have not obtained an EPC before letting. Complaints might be lodged by a disgruntled potential tenant who was outbid by another tenant, for example. So this really is not something you can ignore when undertaking your commercial property let. It is also a legal requirement that all landowners and occupiers of commercial property carry out an asbestos survey to identify whether the property contains any asbestos and if it does to prepare a written management report either setting out the proposals for removal of the asbestos or the way to minimise the risk of the asbestos being disturbed and therefore causing potential risk to health of the people working in the building. If the lease you are granting is over 7 years then it must be registered at the Land Registry or the tenant will not have good title to the leasehold property which would cause problems on remortgaging or assigning or sub-letting the lease. If the Lease has to be registered the Land Registry will reject the application for registration unless it is accompanied by a Land Registry-compliant plan. In order to be Land Registry compliant, the Lease must be to scale and a scale that the Land Registry will accept. 1:500 is usually used but 1:250 is also acceptable. The plan must have a north point and it must be contain sufficient identifying features so that it can be plotted on the Land Registry Filed Plan such as adjoining or neighbouring properties, roads etc. Will it be necessary for the landlord to carry out any works in order to let the building? Will you have to put in toilets and kitchen facilities? Will you have to allocate parking spaces? Will the tenant need cycle racks or shower facilities? All of these features could potentially be the difference between a tenant choosing your building over another building. Some tenants will require assistance with their fitting out and if you have the expertise or know good contractors and can be better for the Landlord to carry out these works prior to granting the lease. If you are letting your building to a tenant who will be open to members of the public, it is a legal requirement that you assess the needs of persons who may use the building with disabilities and take reasonable steps to enable all persons free access to the building. Now if the building has been recently refurbished, the planning permission and building regulation approvals will have addressed the issues of access for disabled persons. The lease will impose a requirement on the tenant to comply with all statutes and that would include the Disability Discrimination Act. So if your tenant has to modify the building and applies to you as landlord for consent, you must not unreasonably withhold consent to an application for the tenant. Of course, it may be that you as landlord are going to have modify the common parts, hallways, access ramps to the building if these are outside of the tenant’s premises. When you find a tenant, the letting agent will start to take up references and request the last 3 year audited accounts for the proposed tenant (if they are an existing business). Landlords often ask for personal guarantees and rent deposits but this is a bit unreasonable. If the tenant is offering a decent rent deposit of say 6 months then it would normally be unreasonable to ask for a personal guarantee as well. It is either / or. If you are taking a personal guarantee, then you should do some due diligence on the person giving the guarantee (credit checks/bankrupcty search).